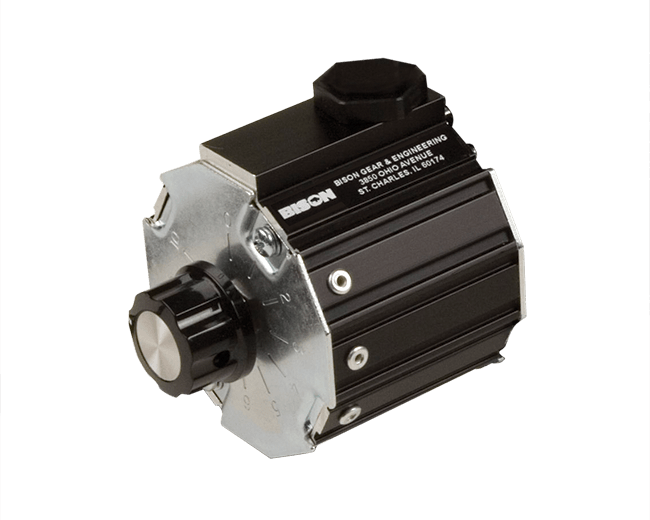 Designed to be easily field mounted on Bison PMDC motors, the speed control is mounted within an aluminum extrusion for superior heat dissipation. A simple knob provides a convenient on-off switch. Three adjustable potentiometers provide settings for minimum RPM, maximum RPM, and current limit. A pre-wired three foot long cord with plug is provided for use with 115V, 60 Hz.